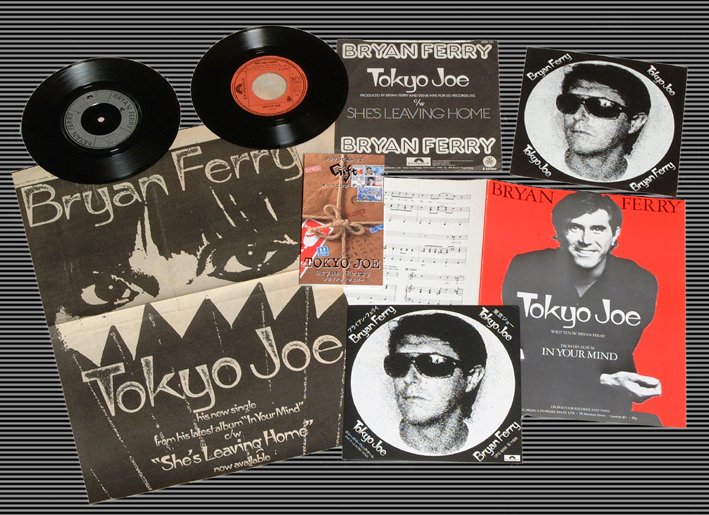 Lyrics to the song Tokyo Joe as recorded by Bryan Ferry. Or Diz 'n Bird puttin' on the moan? "Ask no question and me tell no lie"
Tokyo Jone was the second single to be released from the In Your Mind album in May 1977 peaking at number 15 on 7th June during its 7 week run in the UK charts. It featured a non album track as its b-side, She's Leaving Home, which Bryan recorded for the Beatles tribute album All This And World War 2. Tokyo Joe has been performed live during the In Your Mind Tour in 1977, the 2002-03 Frantic tour and the 2007 Dylanesque tour. The song was used as the theme music for a Japanese TV show called Gift in 1997. This inspired its re release as a 3" CD single which topped the Japanese charts. The CD single included a TV edit of the song and also a Karaoke version. A compilation album was released at the same time which was a slightly different version of the 1995 European compilation More Than This. This new version featured new artwork and included Tokyo Joe which was also the title track. Ryuichi Sakamoto recorded a version of Tokyo Joe as the title track to one of his solo albums. 7" Argentina Tokyo Joe Rock Of Ages Polydor ?? ?